Scoot's selection today of Sydney as its first destination from its Singapore hub is a solid move from Singapore Airlines' new low-cost long-haul carrier. Scoot previously said it was looking to initially concentrate on Australia and China. There is no existing low-cost long-haul service from Singapore to Sydney or fifth-freedom rights from Emirates, unlike at Australia's second largest city, Melbourne. 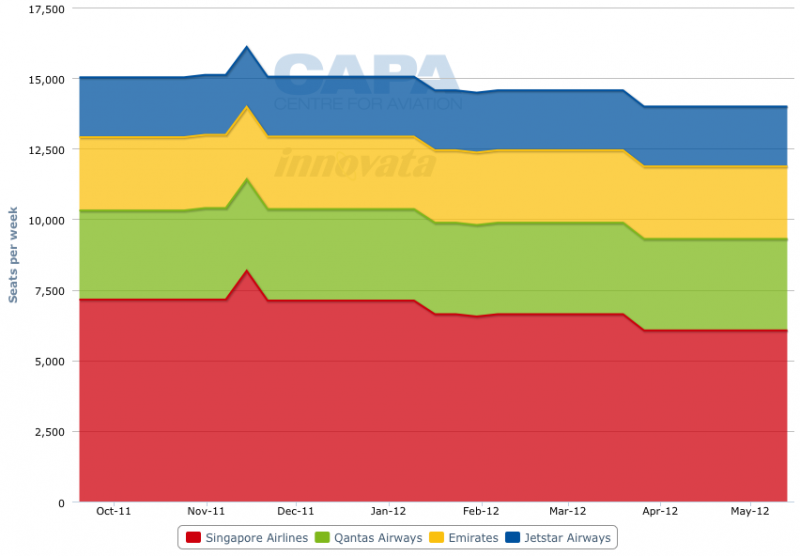 The Singapore Airlines (SIA) group decided earlier this year to launch a low-cost long-haul carrier to re-capture some of the growth the group has lost over the past decade, especially to LCCs. Sydney is still a high O&D market SIA and Scoot can try to keep, unlike at Melbourne or the Gold Coast where AirAsia X and Jetstar have firmly planted themselves. Scoot's entry could be expected to galvanise the Malaysian government to finally let AirAsia X serve Sydney – likely before Scoot – and could cause the Qantas Group to consider unleashing its LCC subsidiary Jetstar in one of its last premium markets. 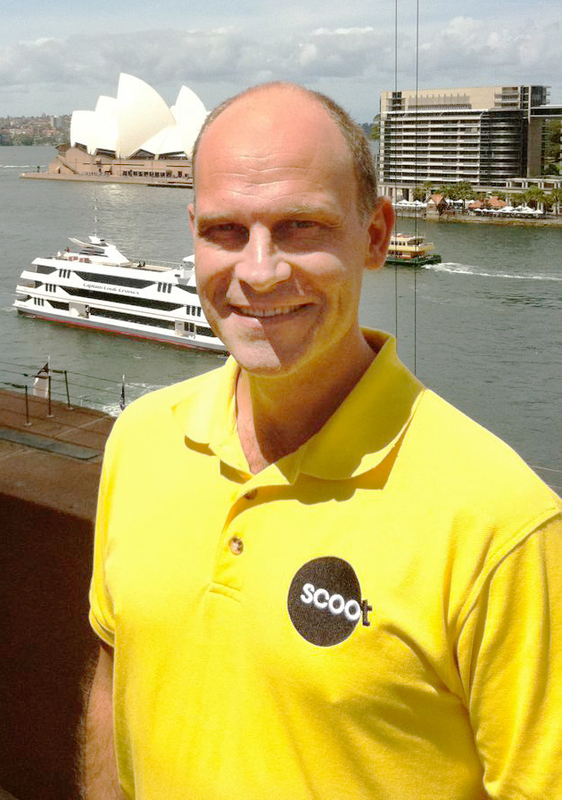 Sydney is the first of four routes Scoot CEO Campbell Wilson expects the carrier will start in its first year from launch, expected in late 2Q2012. Scoot will operate ex-SIA B777-200s in a two-class configuration seating approximately 370. The Sydney arrival and departure times are expected to occur during off-peak hours, when slots are readily available as well as not to overlap with SIA's services timed to serve the premium market. Only three carriers – SIA, Qantas and British Airways, the latter two who have a joint services agreement – serve the Sydney-Singapore route. At Melbourne, which Scoot also evaluated, SIA and Qantas operate as well as Jetstar and Emirates. Emirates' pricing to Singapore, where it has fifth freedom rights on as part of onward service to Dubai, is frequently at or below Jetstar levels. There is further low-cost long-haul competition at Melbourne from Kuala Lumpur-based AirAsia X, who has a considerable advantage with sister carrier AirAsia offering pan-Asian connections. Scoot in its first year will likely target point-to-point traffic, unlike AirAsia X where a significant portion connect to onward flights. Scoot at least initially will not have a local feed network. Parent company SIA owns a large stake in Singapore-based Tiger Airways, but Tiger and Scoot have not expressed a desire to work closely, although that does not stop passengers from self-connecting. Scoot has said connectivity with other airlines that serve Singapore will be pursued. But this take some time to develop, so selecting initial routes with strong demand on both sides is a lower risk option. While Sydney has more seats to Singapore than Melbourne – about 2,500 more per week – the competition is less diverse. 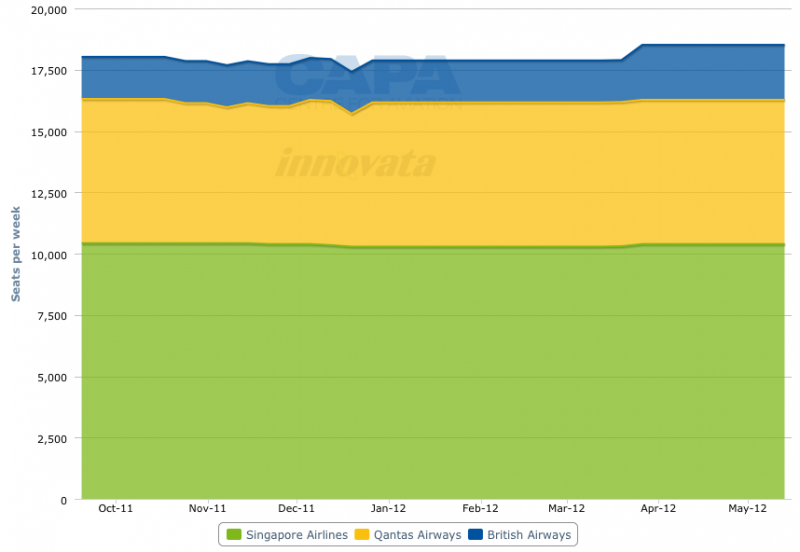 There are effectively two airline groups in the Singapore-Sydney market: SIA and British Airways/Qantas. On the Melbourne-Singapore route, Jetstar pricing is conducted independently of Qantas. There is another separate competitive threat from Emirates, which offers low fares on the route. 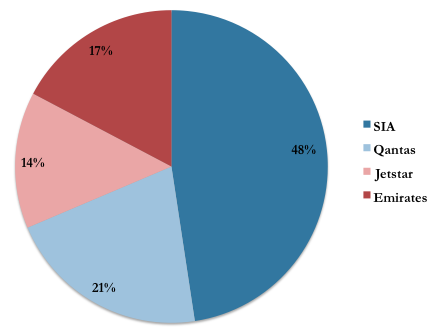 Both Emirates and Jetstar have slightly less favorable schedules for the corporate market. Low fare airlines control just under a third of the seats on Melbourne-Singapore and would serve as competition for Scoot. But at Sydney none of the seats are from low-cost carriers, effectively giving Scoot – for now – a monopoly on the lower end of the market. The less competitive environment from Sydney to Singapore is reflected in ticket prices, which typically hover around USD1000 whereas tickets out of Melbourne are commonly in the range of USD600 to USD800. The difference between a Sydney-Singapore sector and a Melbourne-Singapore sector is only 143nm. SIA's fares to Sydney from Singapore take advantage of the local population's willingness to travel on their home carrier and SIA's lowest fare on the route is typically well in excess of SGD1000 (USD779) whereas Qantas, as well as one-stop options like Garuda, are more reasonable. As a result SIA is losing the budget-conscious traveler. Scoot will help reduce the leakage at the lower end of the market as well as stimulate new demand by making travel more affordable, especially to Singaporean students in Sydney or those looking for a holiday but avoiding Sydney due to the higher cost of travel than other cities. With Mr Wilson expects Scoot to add several additional destinations in Australia (it plans for a fleet of 16 B777-200s within four years). Melbourne as well as Queensland destinations are likely candidates. Melbourne in particular will likely come online once Scoot can offer more connectivity, either on its own network or with other arrangements, expanding its network pool. In announcing today the selection of Sydney as Scoot's first route, Mr Wilson re-iterated he is very willing to work with travel agencies and offer commissions. 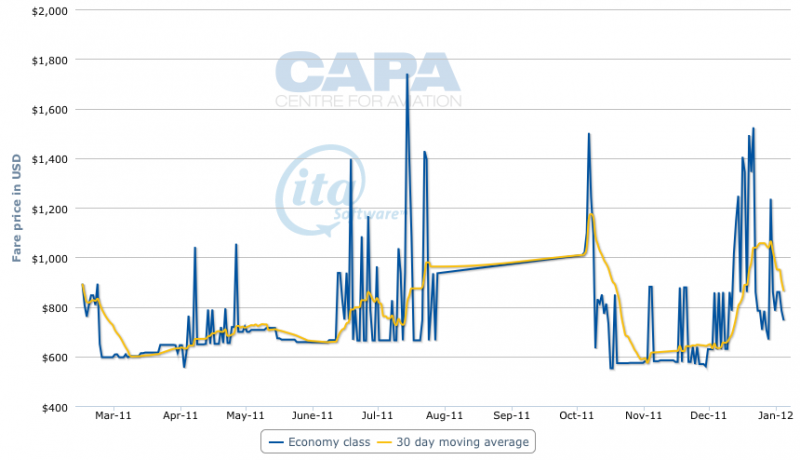 While LCCs have shied away from working with travel agents, Scoot needs to build up demand. Some spillage of passengers from SIA to Scoot is naturally expected, but that is not the objective of the multi-brand strategy. Mr Wilson has made clear Scoot will complement SIA's routes and will not be a substitute. While this may hold in the short-term the lesson from Qantas and Jetstar is that despite a similar promise when deciding to launch a low-cost long-haul operation, Jetstar later ended up taking over Qantas routes. 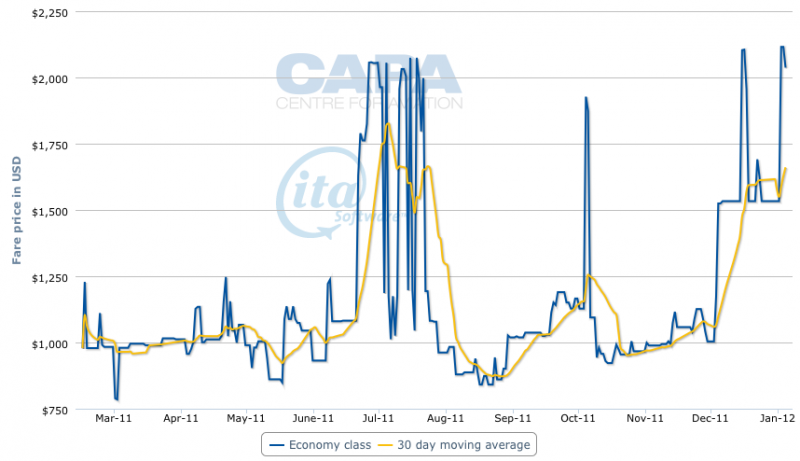 But on Singapore-Sydney premium traffic, the bread and butter for SIA, is robust. Many long-haul routes Jetstar took over from Qantas had low premium traffic, such as to Bangkok, Hawaii and Japan. Scoot aims to help SIA re-capture the growth the group has lost over the past decade. Scoot is primarily geared to enabling SIA to capture the growth at the low end of the market but it will also allow the group to catch up in the increasingly important premium economy segment. Qantas offers premium economy on its B747s and A380s, which Qantas uses on the Singapore-Sydney route, whereas SIA does not offer the product at all. Scoot will allow the SIA Group to pursue for the first time the relatively large premium economy market on the Sydey-Singapore sector. Scoot's premium cabin is expected to consist of 32 to 40 reclining armchair-style seats (not beds) in a 2-4-2 configuration. Seat width is expected to be 21", 1.5" wider than Qantas' premium economy cabin. If Scoot is able to call on SIA's corporate contracts, Scoot could have very good success filling the cabin from companies looking to fly a product higher than economy but without much additional cost, or for companies looking to cut back on travel expenditure. In Sydney for the route launch Mr Campbell said the coordinated effort of Sydney airport, the government and tourism bodies made it easy to select Sydney. This is one of a growing pool of positive examples for how a joint approach and marketing effort can influence airline decision making. Emirates CEO Tim Clark earlier this year made similar comments of Dallas Ft Worth when announcing service there from next year. Florida airports, including Orlando and Tampa, have made similar joint efforts with measures of success. Back in the Australian context, AirAsia X CEO Azran Osman-Rani has said the efforts at his carrier's first destination, Queensland's Gold Coast, made it very easy to launch services there. The airport helped coordinate marketing as well as setting up the carrier's logistics, such as catering. Melbourne airport by far has had the most coordinated effort in recent years as it sought to re-capture traffic it believed was disproportionately in Sydney's favour. 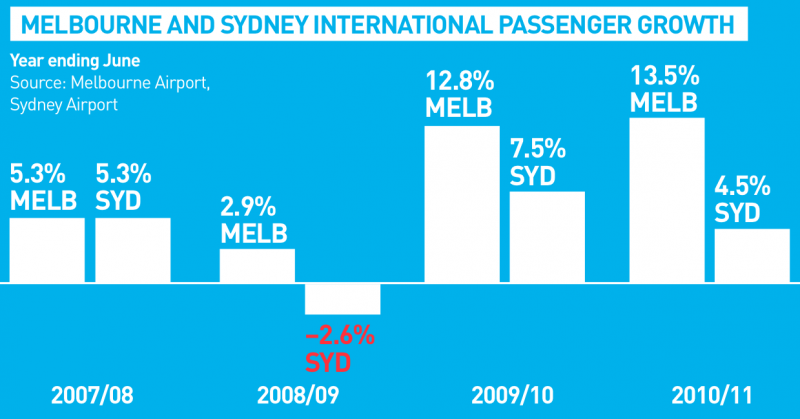 Melbourne's passenger growth has been double or triple that of Sydney and has increased its market share at the expense of Sydney. Qatar Airways CEO Akbar Al Baker – not one to regularly lavish praise – gave approving remarks to the "Team Melbourne" approach while he was in the city for the carrier's first flight in Dec-2009. This year alone Melbourne has won new services from Air Australia and Royal Brunei Airlines. China Southern earlier this month also praised Melbourne's approach – which included helping facilitate discounted billboards and wrapping ads around a street tram – and signed an agreement to work closer in the future. 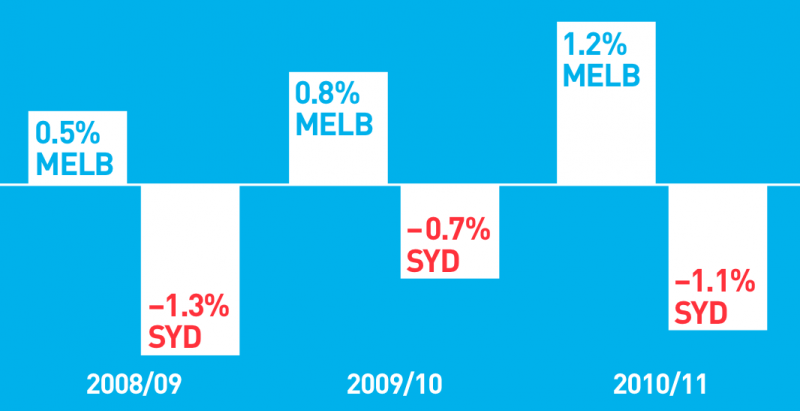 Sydney last month announced it was effectively replicating the Team Melbourne approach. The announcement of Scoot at the Sydney team's inaugural event gave a big headline for the cause, which has also become very political with a recent change in government. Globally airlines should be looking at airports that can help them launch and maintain services while airports should be looking to align themselves to these broader strategies. In the Australian context new carriers will find for the first time a pair of major airports working hard to obtain business. Kuala Lumpur-based AirAsia X has long wanted to serve Sydney but for a period of years did not receive approval from the Malaysian government as Malaysia Airlines lobbied against its low-cost rival that was forcing MAS to drop its fares. AirAsia X in Jun-2011 had all restrictions – which also limited its footprint in China – lifted, but was told it could not yet serve Sydney. The Aug-2011 equity swap between AirAsia and Malaysia Airlines, which led to AirAsia CEO Tony Fernandes gaining a seat on Malaysia's board, alleviated tension. The impending arrival of Scoot into the one port AirAsia X has wanted to serve but cannot will likely see AirAsia X enter the route – likely before Scoot does. AirAsia X has an A330-300 due for delivery early next year, according to CAPA and OAG's fleet delivery projections. AirAsia X had mounted an aggressive campaign to secure the right to fly to Sydney, unveiling in Sep-2010 an aircraft emblazoned with the slogan "Liberate Sydney. End the monopoly." AirAsia X also received public support from Sydney airport, saying it was ready for and eager to have AirAsia X.
Jetstar for many years tried to minimize its presence at Qantas' fortress hub in Sydney. It was forced on to the trunk Melbourne Tullamarine-Sydney route after Tiger made its intention clear to enter the market. Jetstar's more recent long-haul international expansion has been out of the Gold Coast (to Japan) and from Melbourne (to Bangkok and Singapore), limiting spillage from Qantas to Jetstar. Scoot's entry and the likely addition of AirAsia X will force the group to carefully evaluate its standing in Sydney.